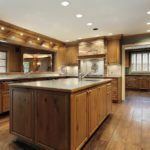 Wood Furniture Finishes – How Correctly to Mix any Kinds of Wood for Furniture? In modern design world it is not necessary to match furniture. It is look great without it. In opposite, if some pieces do not match but complement each other by tones than the room has unique character and charm. 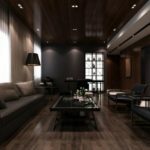 If you have no idea how to mix different finishes in one room together then this article will help you in decorating. Also this material is needed for those who have to collect too much dark wood for furniture and plan to combine it with light types. Or maybe you have already beautiful chocolate brown garniture but you inherited the pretty mahogany antique one. 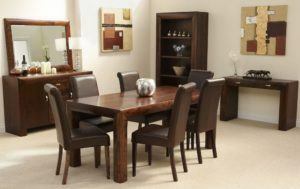 As many people notice the most stylish rooms include different types of genuine wood furniture. Such spaces have the character, and may be counted as eclectic ones. Here I propose few advices how to combine different trees’ materials in your space. The undertones must be connected. For example the grain in the tree may be the base of future interior – paint it in red, dark chocolate, light tones. Herewith choose similar grain for pieces and timbered flooring as well. Thus pine coffee table looks great with burgundy brown tones of the flooring and the mantel. Combine wood craft furniture with a rug. The rug may define the point of transition that different tones, timbered floor and garniture make. Choose one piece of furniture and make it the most important in the room. Take a large piece and use contrasting timber around it. In this case the piece will be impressive and special. For instance, the knotty pine armoire is the star of the space with deep chocolate flooring around it. 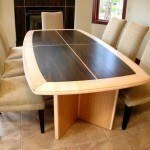 If you decided to mix different kinds of wood for furniture then do it balanced. In this case, both sides of your space should have same tone of timber. This method helps to ground the space thanks to combination of brighter and deeper tones. Mixed shades of material give the different style to every room. Thus, you may change your rustic bedroom style to a more contemporary by using light distressed wood side tables to the bed. Add the look with linen hemp pillows. Give the mood to your room. Combine warm and light best wood for bedroom furniture and create light and airy feeling. 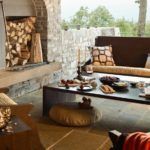 Use natural elements to create more country or rustic mood. 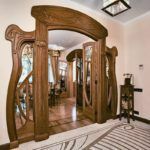 As you see, it is easy to find your own style by combining different tone and types of this wooden material. Contrast the floor and pieces; make the completed space not the matched one. 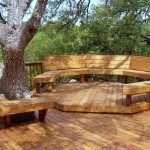 Which Wooden Outdoor Garden Bench Designs Are Most Useful Nowadays?